Mark your calendars for I heart bc day: december 3, 2019! Thank you for participating in the 2018 I Heart BC Day! It was a huge success as we received $30,000 to go towards student scholarships and campus improvements! 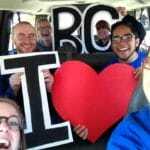 This year, #IHeartBC Day will be on December 3, #GivingTuesday, which is always the Tuesday after Thanksgiving. #GivingTuesday is a day set aside to encourage generosity to nonprofit organizations all around the world. Stay tuned for more info on #IHeartBC Day 2019! 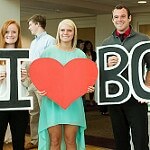 Use #IHeartBC on your social media and let others see your love for Brevard College. How can I make a gift? Where does my money go? Is my gift tax deductible? Get your questions answered HERE.